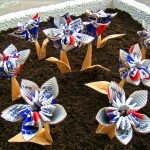 Brock Ave PBR Flowers by Karen Abel. 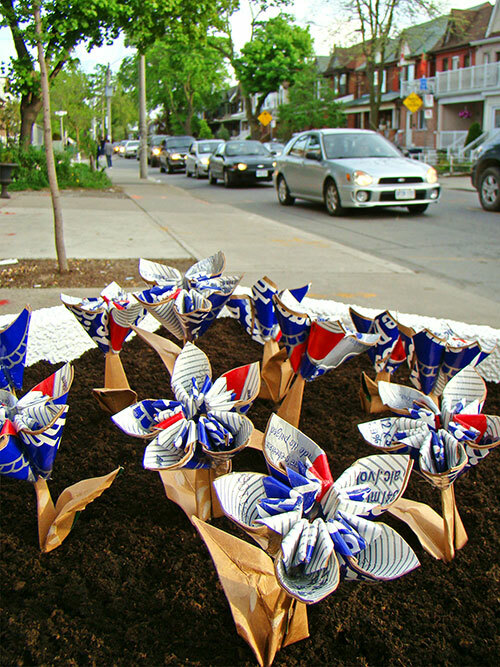 "An ephemeral site-specific work made from discarded Pabst Blue Ribbon beer cartons found in a concrete street planter at Brock Avenue and Bloor Street West in Toronto. 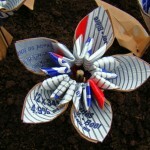 The PBR Flowers lasted a few days — disappearing as they were slowly 'picked' by passersby. 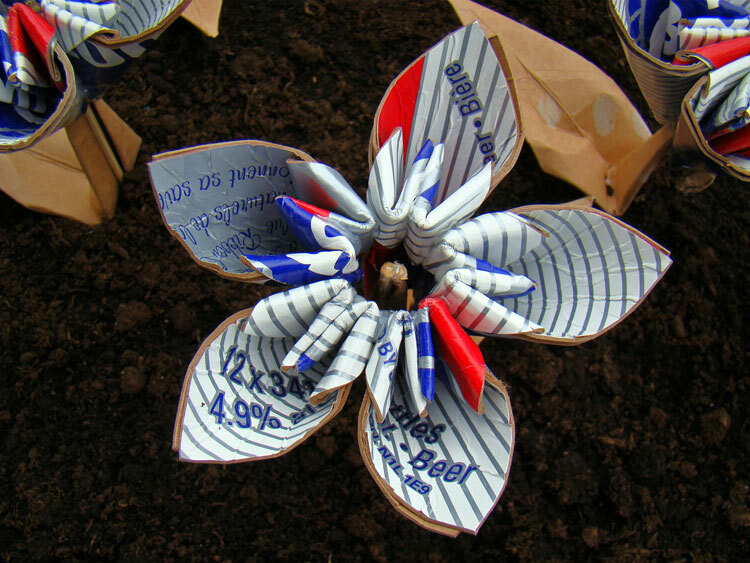 I like to imagine that at least a few of them were liberated to new homes. 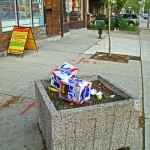 Site preparation included removing existing garbage from the planter and surrounding area. 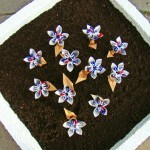 The planter was then painted and filled with a new layer of topsoil. 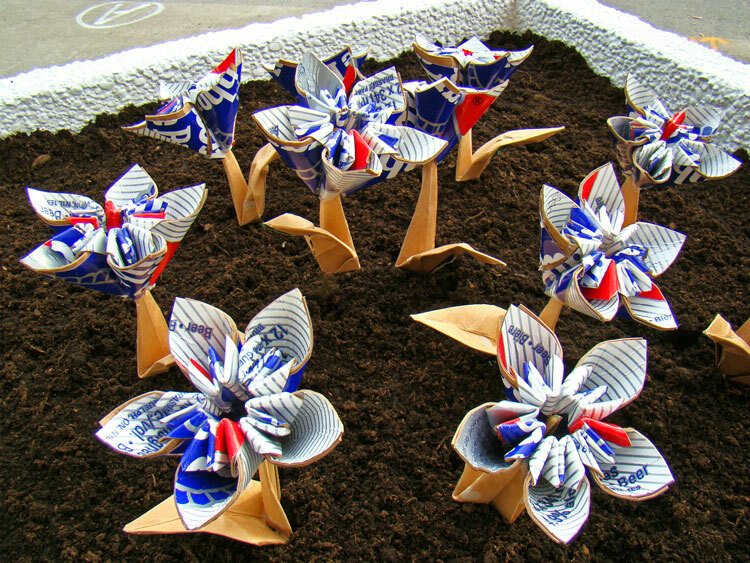 Taking a cue from the spring season, the flower sculptures were loosely based on the native species Carolina Spring Beauty (Claytonia caroliniana) that emerges in woodland areas of the Greater Toronto Area in May, with blooms lasting only a few days. 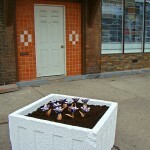 During the process of transforming the found planter waste into sculpture, I was reminded of the symbolic significance attributed to the lotus flower, often conveyed through poems that describe the pure white lotus emerging from the dark, muddy depths of a marsh; signaling the inextricable link between decay and beauty, waste and growth. 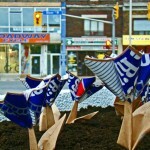 In this way, perhaps the materials of urban renewal are within reach more often than we think. 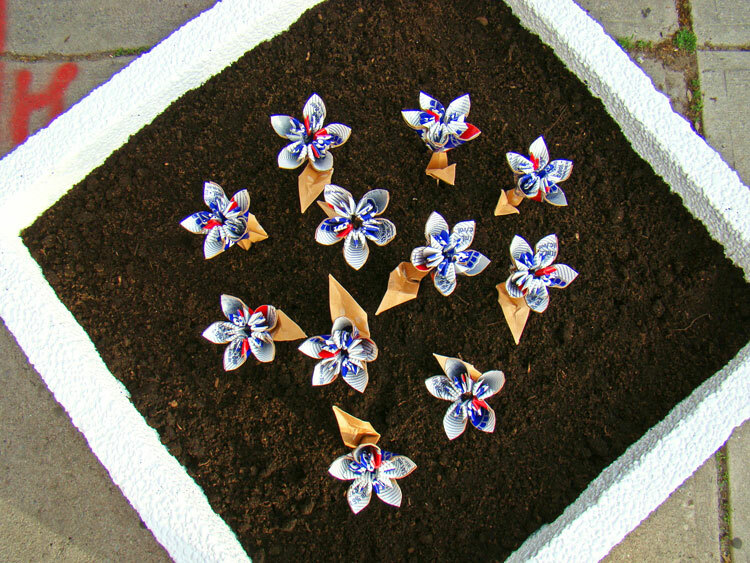 Drawing from a background in native plant ecology, it was my intention to eventually plant flower species in the planter that would attract pollinators such as bees and butterflies. 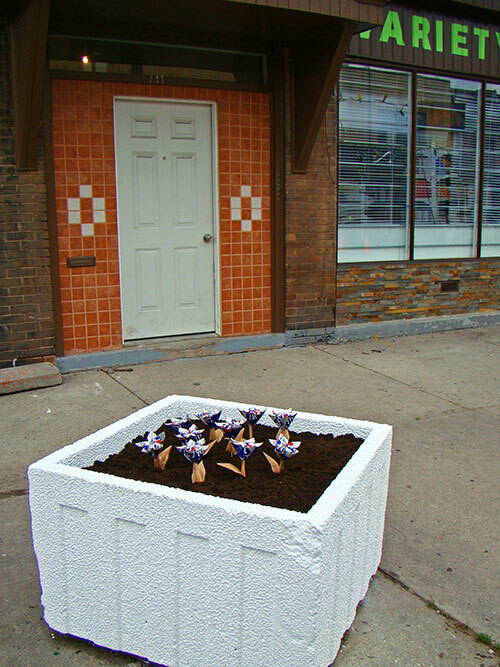 However, I was pleasantly surprised to learn that the project generated enough new interest in the planter that local residents created a herb garden in it shortly after the last of the PBR Flowers disappeared. 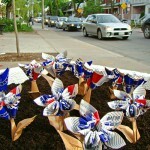 Thanks to the many Bloordale locals who stopped by to share enthusiasm for the work. 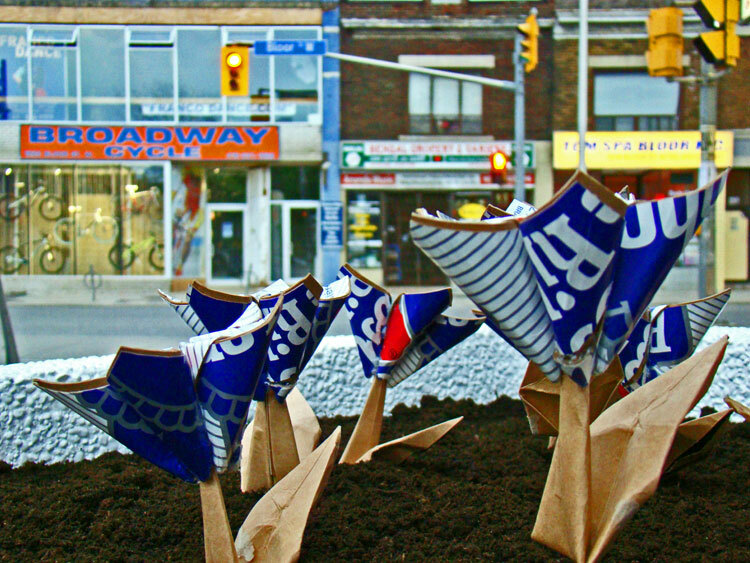 Special thanks to local resident and Bangladesh Corner store owner Iqbal Uddin for safeguarding the flower sculptures and generously offering complimentary beverages during my visits to the site." 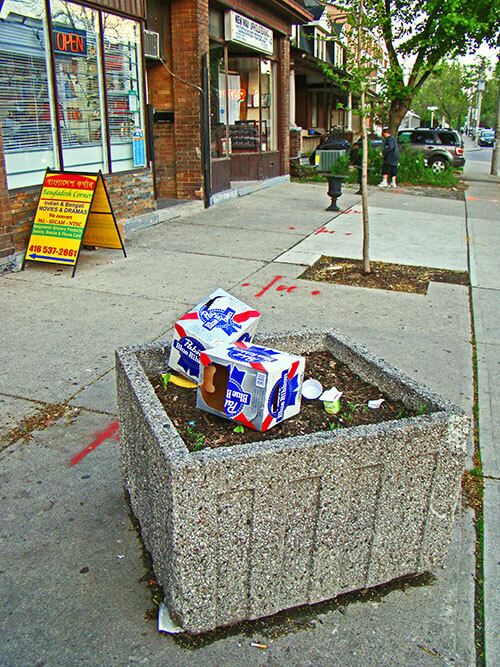 © 2019 Outside the Planter Boxes All Rights Reserved.